Are you looking for a high-quality pair of cycling or sport sunglasses, but don’t want to spend a whole lot of money on your new eye-wear? Sadly, most cycling-specific sunglasses cost $100 USD or more, which makes finding a high-quality, but at the same time, inexpensive pair of cycling sunglasses, so extremely difficult. 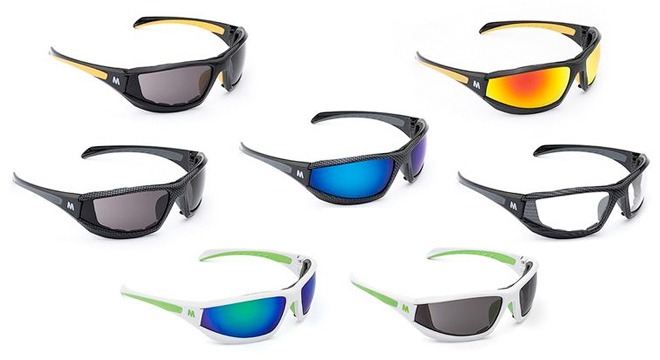 Lucky for you, you don’t have to spend a fortune on your next pair of sport sunglasses! In fact, each of the sunglasses featured in this article can be purchased online for anywhere from $29 – $49 USD. In one of my previous articles or videos, I mentioned the fact that the Nike sunglasses I currently wear while cycling tend to pinch me a little bit in the back of my head – occasionally leaving me with a small headache as I ride. Well, the people at Morr Eyewear heard my complaint and took it upon themselves to solve my sore-head sunglasses conundrum by sending me 10 different pairs of their stylish and well-made (but inexpensive) sport sunglasses. Rather than try on these 10 different pairs of cycling/sport sunglasses for myself, I decided to record a video and try the sunglasses on for the first time with you watching as an audience. Watch the video below and you’ll see me try on 10 different pairs of Morr Eyewear sunglasses, plus you’ll hear my comments (either good or bad) about each of the cycling-specific sunglasses that were sent to me. If you’re interested in purchasing any of the sunglasses you see featured in this video, be sure to look at the sport sunglasses information below. There are 4 different sunglasses styles featured in this article/video, but they come in a number of different lens and frame colors/options. Visit the website at www.morrgear.com to see more of the available styles and shop online for your next pair of sport sunglasses. MORR delivers incredible technology AND made it affordable. When you finally get tired of losing or breaking expensive sunglasses, these should be your next pair. They’re designed to get into harm’s way without hurting your wallet. Lightweight: With our all-day comfort design and non-slip grip, you may forget you have them on! 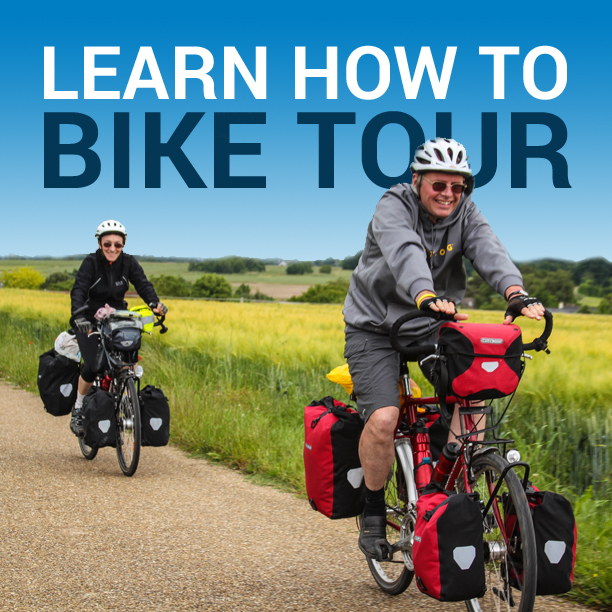 This entry was posted in Bicycle Touring Pro Articles, Clothing, Featured Articles, Main Articles, Main Featured Articles, Product & Service Reviews, Products, Uncategorized, Videos and tagged arristotle, bicycle sunglasses, bicycle touring sunglasses, bike touring sunglasses, bikepacking sunglasses, cheap sunglasses, cycling sunglasses, inexpensive sunglasses, marrconi, morr, morr eyewear, morr gear, morr sunglasses, mozzart, sport sunglasses, sports sunglasses, starrley, sunglasses, sunglasses for sale, sunglasses on amazon. I’d like to know if there are cycling or sport sunglasses that can be used with corrective glasses in place. I can’t use contacts and I’m always afraid to damage my corrective glasses while riding.